Really like the colors and the pearls on the snowflakes. love the color, beautiful card! Neat idea to change it into a Christmas/winter theme. 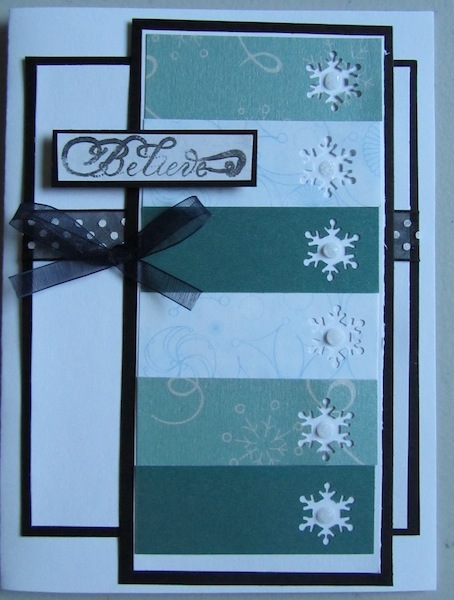 I like the pp or stamping on the pieces too. such pretty crisp clean lines - makes for a stunning card. I love this. I like how you used the teal. I might just have to lift from you!! I love that you made this a Christmas card.